Can we talk about something for a minute? 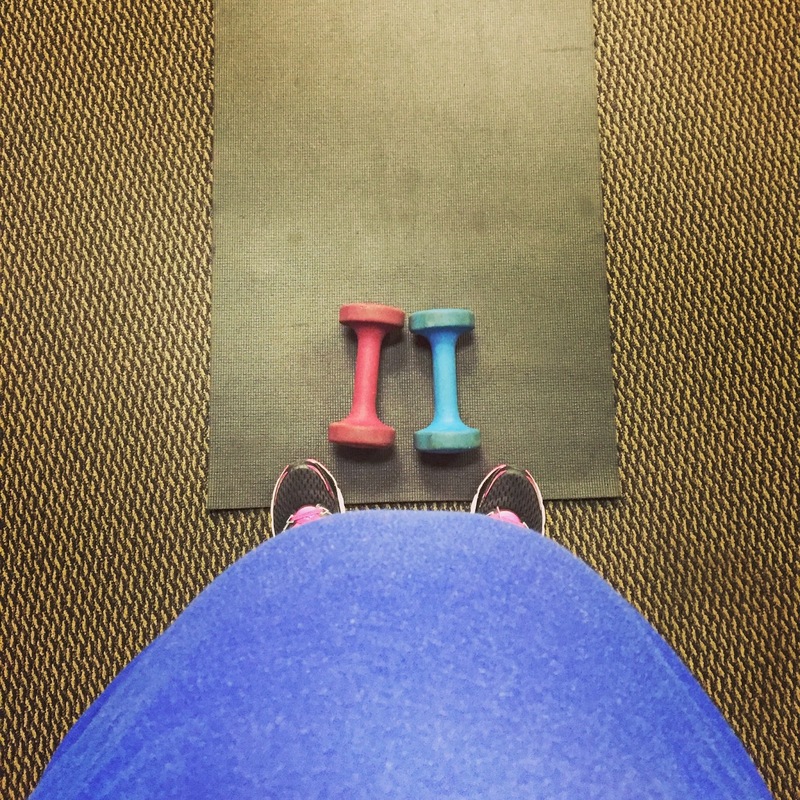 I want to share my thoughts on working out while pregnant. 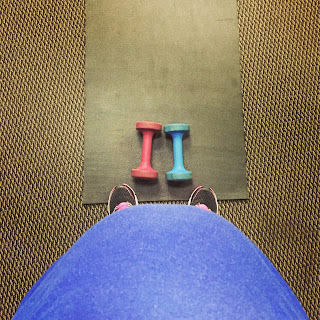 I know nobody likes to even talk about working out normally let alone while pregnant but I have some things to discuss. First of all I feel like pregnancy is this giant science experiment. And if you experience it more than once it's an even bigger experiment because you can compare and contrast one pregnancy to the other. Or maybe that's just me and my crazy over analytical brain. First pregnancy. I did nothing. Like literally you couldn't have paid me to work out. At the time I had an office job where I sat at a computer all day and I remember complaining about how hard that was. I'm sorry what? First pregnancy Megan was a bit out of touch. Don't you know seasoned moms around me secretly laughed at me and silently threw up prayers for the naive mom who had no idea what was ahead. First time moms really are a special treat. But every mom needs to go through those first time mom emotions. It's just the rite of passage to think you need to have the nursery fully stocked ready to go 4 months before your due date, stress about what to take with you to the hospital and think that life is so hard when you have one newborn who sleeps 92% of the time. Back to my experiment first pregnancy Megan sat and ate and ate and drank Coke like it was water. And then I gained roughly 45-50 pounds. 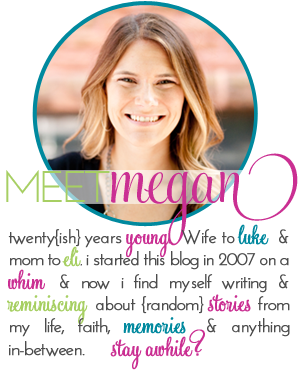 Second pregnancy: I was a changed Megan. I had seen the error of my ways and decided while pregnant this second time I wouldn't consider a dozen chocolate donuts a well-rounded meal. I was going to maintain normal eating BUT with an added bonus I would factor in some physical movement. Something which seemed too daunting the first go round. So I sort of watched what I ate and literally walked 2 miles on the treadmill everyday. On an incline. I feel like the "on an incline" gives me bonus points so this is where you "ohhhh and ahhhh"
And what do ya know, I gained roughly around 45-50 pounds. There's a theme in my experiment. 1. I could see how my lifestyle the first pregnancy was not healthy or productive and it's a part of my history that doesn't need to be repeated. 2. I could see how my lifestyle the second pregnancy did nothing to produce different results so instead of living that way again I'm going to eat what I want and do what I want and say screw it. I'm gentle with my words I know. I opted for a little of both. I've maintained a pretty consistent workout schedule this time. Going to bootcamp throughout the week and walking some on the treadmill. I still have moments where I don't eat the best but for the most part I eat well. This pregnancy has been a bit different from the others in the fact that I was so sick at the beginning I lost weight before I started going up (and up). And now at 24 weeks I've gained the same amount I did with both pregnancies. The same exact amount. Your body does whatever the heck it wants when you're pregnant. In fact I think God is like whoa, I've given you a free pass. Your body has one job right now, to grow, support, and foster a home for a growing person. Ear four s'mores pop tarts a day. Ok maybe not the last one - but you get the general idea. And this is not theologically based, please don't be confused about that part. And maybe this is only coming from a place of guilt because, just today in the wee hours of the morning when my alarm clock went off I opted to hit snooze three times before ultimately deciding my body was a wonderland that didn't need to be put through a rigorous workout and rolled over and enjoyed more time in the comfort of my very soft and warm bed. So as for my resolution with my experiment I'm going to do what I feel. If I feel like working out I'm going to do it, if I don't then I'm not going to stress about what a slacker I am. I thought FOR SURE with my 2nd I would only gain a little weight. I was BUSY running after a 2.5 year old, working, and was too poor to eat out for lunch every single day. I even worked out - walked 2 miles/day at least 5 days a week. (No incline for me, such a slacker! ;) ) NOPE. Gained 55 lbs. I remember being really resentful at my 36 week OB appoinment. Like, WTHeck?! Why didn't I just go eat Mexican everyday?! Why did I even bother?! My two pregnancies were really similar to your story. I went overboard on the first one and gained 50 pounds. Second time, I was 10 pounds heavier, ate better, exercised some, gained 40 pounds. Baby 1 was 8.5 pounds, baby 2 was 9 pounds. We're discussing baby #3 and I'm super curious what that one will be like. Please don't let my next baby weigh an extra .5 pounds as well!